Body Perfect Raspberry Ketone & Garcinia is a unique combination of two potent weight loss ingredients to help curb cravings, boost your metabolism and increase fat burning. 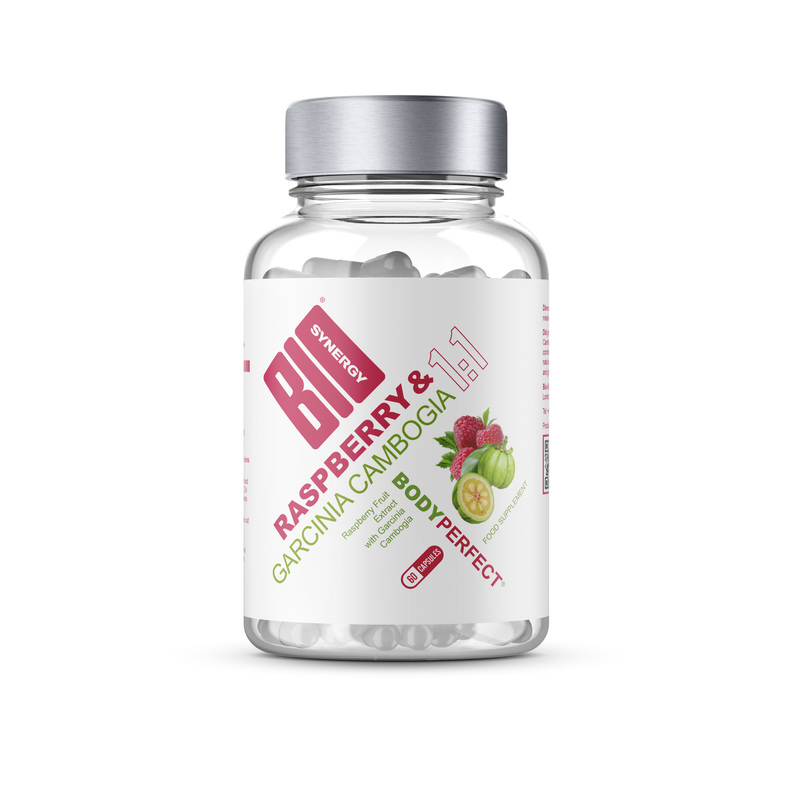 Raspberry ketones can promote weight loss by making fat cells easier to break down, which helps the body to burn fat faster – while garcinia can help to suppress your appetite and block food calories converting into body fat. As with all slimming aids, it’s most effective when used alongside a diet and exercise regime – you can find helpful guides right here on our website.. Body Perfect Raspberry Ketone & Garcinia combines two of the most talked about slimming supplements of recent years into one, highly effective capsule. Experts consider Garcinia Cambogia to be a highly effective supplement because it can block the production of fat as well as helping you shed fat that is already stored on the body. It does this by inhibiting a key enzyme that your body needs to make fat from carbohydrates: citrate lyase. When taken in large quantities, raspberry ketone can increase the body’s production of a substance called adiponectin. An abundance of this protein hormone may boost metabolism, enhance your muscle’s ability to use carbohydrates for energy and suppress your appetite. Made in the UK from high quality natural ingredients, Body Perfect Raspberry Ketone & Garcinia is a double action formulation that helps you reach your slimming goals. IS BODY PERFECT RASPBERRY KENTONE & GARCINIA RIGHT FOR YOU? If you’re looking to slim down and curb food cravings, then yes, Body Perfect Raspberry Ketone & Garcinia is an excellent choice. We’ve got you covered with a wide range of other weight loss products: Body Perfect®, Skinny Protein®, Activeman Thermolean®, Matcha Green Tea Powder, Skinny Water®, Vegan Lean&Green®, Thermogen and CLA. As with all our products, Body Perfect Raspberry Ketone & Garcinia capsules are made from only the highest quality, locally sourced ingredients. Garcinia Fruit Powder, Raspberry Fruit Extract, Gelatin (Capsule Shell), Magnesium Stearate. For optimal results, take four Body Perfect® Raspberry Ketone & Garcinia capsules per day. Take two capsules before meals with a glass of water. Most customers report noticing results within one month.